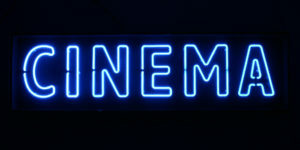 The Gavinton Film Club January Programme starts with a real treat on Saturday 6th January at 7pm. Later in the month there will be a further screening on Thursday 18th January at 7pm. If you would like to attend or find out more about the films please email Roberts.ann@btinternet.com or phone Ann on 01361883005 and leave a message. For contractual reasons it is not possible to give titles and details of screenings on the website but you can ask Ann to put you on the Gavinton Cinema email list and then you will receive full details of all the films being shown.